He studied History at Oxford University. Since then, he has been writing tales, plays, songs and operas. 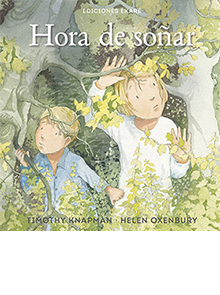 Hora de soñar is his first collaboration with illustrator Helen Oxenbury, author of the endearing images of We are going on a bear hunt. His books have been translated into more than twelve languages.